The Nokta Impact Metal Detector is known for its “impact” in the depth and advance discrimination ability game as a multi-frequency detector by Nokta! 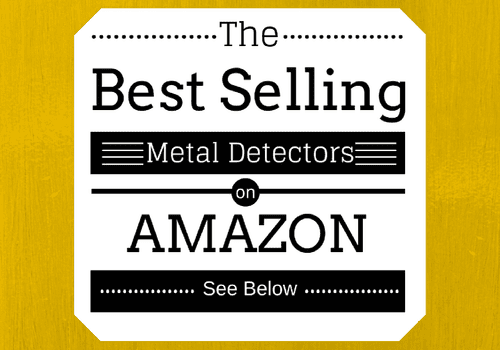 It’s a remarkable metal detector that was built with the intentions of combining several metal detectors. 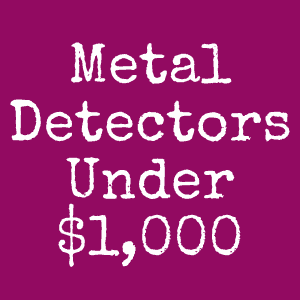 This easy to use detector uses cutting edge technology to give the consumer quite the experience given it has 12 search modes ready to uncover unique targets such as coins, relics and deep treasure cashes and operates on 3 extremely powerful frequencies. The Notka Impact can switch between operating frequencies by changing the control settings. 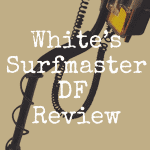 The consumer is able to shift between 5kHz to 14 kHz or 20 kHz without any issues. The coils that are included with the device are very compatible with these frequencies. The 5 KHz is mainly used for searching highly conductive targets such as larger items at a greater depth (like coins). The 20 kHz is good for lower conductive targets such as gold coins or gold jewelry. The 4 kHz is the standard searching frequency that is good for multi-purpose detecting. 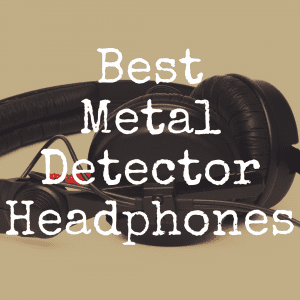 Pro metal detectors were a bit discouraged after purchasing the device to find out that Nokta claimed the device had multi-frequencies, but only one could be used at a time. This was very misleading to consumers. It would have been better to advertise what exactly the machine can do – switch from frequencies. This isn’t a huge drawback, but it’s something to consider when purchasing this device. This device is extremely modern. The new technology of having wireless headphones is great so that the consumer doesn’t have to wrestle with cords. The device also has a feature where the consumer can download the latest firmware updates from the internet, to the PC and then to the detector. This is a great feature so that the consumer can keep up to date on the latest updates. This is not a great device for finding gold or gold nuggets. Individuals who are looking to become pros at prospecting gold would be better off purchasing something like the Makro Gold Racer because it has a better sensitivity to smaller gold targets. The Nokta Impact is a device that can be used frequently on vacation. 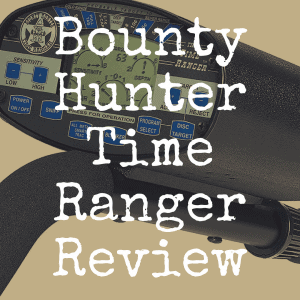 It’s recommended to try some of the great companions that it can be perfectly partnered with such as the PulseDive Scuba Detector & Pointer 2-in-1 set. This device will run the consumer around $190 and is the perfect for someone who is looking to search under the water while scuba diving. The design allows for a diver to be under water up to 200 ft. in any type of water. The 2-in-1 does come with a built-in wireless module that is compatible with the Nokta Makro 2.0 GHz Green Edition Wireless Headphones and a flashlight! The Impact is a great device for salt water hunting and beach treasure searching, but the Scuba Detector will take your vacation to the absolute next level. It is recommended to purchase these items together if the consumer spends a lot of time on the beach or scuba dives regularly. In comparison to the Minelab CTX3030, the Nokta Impact is more affordable, lighter and is more forgiving when it comes to sweep speed. The Minelab CTX3030 has a better warranty and overall provides the better target ID as far as depth goes. The Minelab CTX3030 is a great device, but it’s expensive and complicated for beginners to understand. Many sites discontinued selling the Minelab CTX 3030 because there are way better options out there tor replace it; if that gives any indication on which device to choose at this point. 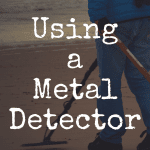 Minelab isn’t the most recommended of all brands and many popular sites do not carry Minelab equipment. This device, the Minelab Equionox 800, is around $900 to purchase. It’s a great device that has technology such as the Multi-IQ technology and is used as an overall multi-purpose device. The Equinox 800 is easy enough for a beginner to use and can satisfy a pro. Looking at the bigger picture, the Nokta Impact has far more features for being way less money. They both are great for beach time and water impact. If the consumer is looking for hunting gold, the Equinox 800 would be their ticket. However, the Nokta Impact is a great device if the consumer is not looking to get exclusively fancy. Recently, the price of the Impact has decreased to the price of the Kruzer. 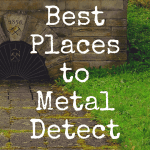 It’s a tough decision when deciding between these two metal detectors. These machines go head to head when in comparison. There are only a couple major difference between the two, such as the water resistance level and the Nokta having the tracking ground balance. The weight of the Nokta is only a pound heavier than the Makro, but does that really make a difference in the field? It’s nothing a couple curl ups wouldn’t help! The Audio Identification and Operating Modes are completely different, but are very advanced choices. Overall, the Marko Kruzer has better upgrades available such as the Mineral Ground Boost EID Mode and operates very smoothly. It’s only about $50 less than the Nokta Impact and would make a good device for someone who is beginning or intermediate searching in watery areas. It’s not recommended to take out the Nokta Impact into watery areas as it only has the waterproof coil. The Nokta Impact does have more operating modes for better select ability. The fact that the Impact has 12 different modes with 3 different frequencies is a lot to handle and some users may not like that. The Impact does everything that the Kruzer does, but just a bit more. Some may will say that the Multi-Kruzer is a better fit because it has the advanced technology of the EID mode which helps with high mineral ground boost. Both of these units are lightweight, affordable, extremely fast acting, and easy to use. Besides the whether factor, they will both make it to the top of the list for several reasons. Either of these would make great devices, but are dependent on the consumers’ preferences and needs. Overall, the Nokta Impact is a sleek device that is easy to handle, affordable, balances nicely, easy to adjust and has three useful operating frequencies. Individuals are happy with the three different frequencies that they can switch back and forth on. However, disappointed that these frequencies were advertised deceivingly. The frequencies are, however, extremely powerful when searching for coins, relics and deep treasures. The device should be paired with the the PulseDive Scuba Detector & Pointer 2-in-1 set when going on those beach or scuba diving trips to get the most out of their device. Many consumers are satisfied with this device because they can take it anywhere – including vacations to the beach! The only draw back received from this device would be the sometimes when the device is set at a high sensitivity level it would give off false positive signals. However, this would only be a small set back. It is also not a great device for someone that is looking to become a pro at prospecting gold. Nokta puts out some fantastic devices, including the Impact which is why this is a good choice for beginner to intermediate hobbyists looking to spend a little bit of cash. However, individuals willing to spend the extra money will be extremely pleased with the device and its functionality.